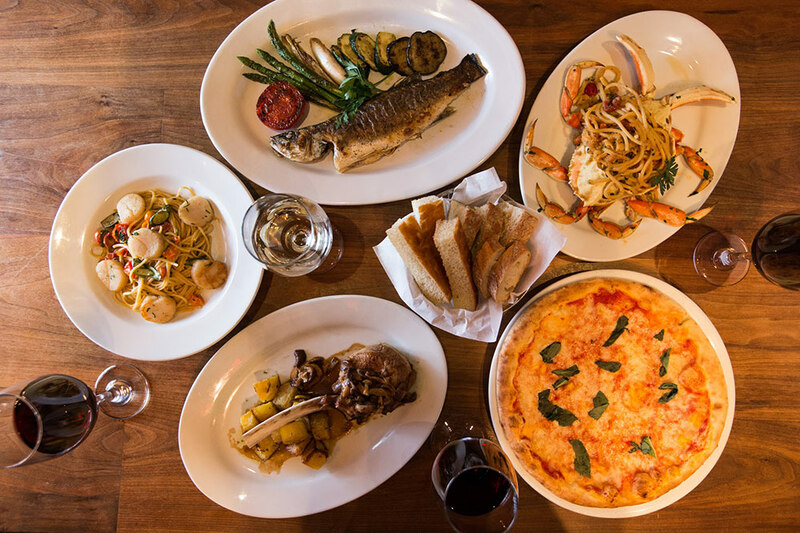 Enjoy traditional Italian cuisine with Toscanova nestled in the Westfield Century City Mall. Whether it is an intimate gathering or an event on which your reputation is riding, our exceptional customer service, outstanding servers, and delectable cuisine will help to make your special occasion something to remember. Toscanova can accommodate virtually any request no matter the size or function. Hosts may choose from our 20-seat intimate private dining room, to our fashionable patio entertaining 40-75 of your guests. Our patio is tucked underneath a canopy of twinkling lights for you and your party to find comfort in the sleek Tuscan ambience, perfect for cocktail parties and welcoming receptions. Our luxurious private room is ideal for the professional lunch and small celebrations. Or if you prefer, we can bring our catering services directly to your home, office or a location of your choice. Our team offers the highest level of professionalism in food and service; we will help you plan a formal dinner or an extravaganza for 200.